Not so long ago, I was in your shoes, anticipating my graduation day from Loyola University Maryland. As is true with most situations, had I known on that day what I know now, my transition to the world beyond college would likely have been a more fluid experience. There’s no better use for all that I have discovered over the past couple of years than to share it with those who are about to go through the same change. My hope in sharing what I’ve learned since I received my diploma is that it will help Loyola seniors be even more prepared than you already are. And you are. Second guessing myself was a habit I maintained consistently throughout my years as a student. It’s human nature to ponder the “What ifs”—whether it was about course selection, my assignments, those tricky multiple choice questions on exams, or the path I should take with my major. I would over-analyze each option. A lot of stress could have been avoided if I had trusted my gut more. Think back to that moment when you knew Loyola was the college for you, the place you wanted to spend your next four years. That moment when you knew that you would be happy on the Evergreen campus. That is the experience you want to have when you walk into a company’s office. You want to be able to envision yourself as part of the community. When you first begin job searching, you will be overwhelmed by opportunities and options. This is where you need to start to trust in yourself. Once you begin the interview process, you will be exposed to many different environments, people, and yes, choices. Take everything in: the individual conducting the interview, the others who are already working there, the feeling you get from the physical space. As graduation approaches, reflect on the decisions you’ve made thus far to get you where you are today: How many of those choices were made because you trusted your gut? How many of them went against it? What were the results of each? Loyola’s tight-knit community really encourages and allows you to form relationships that are strong and meaningful. As life changes and everyone goes their separate ways, it is so essential to remember to put effort into staying in touch. For the past four years, your friends have been your neighbors; your best friends have been your roommates. That reality ends on graduation day for most of us. While there is no way to be together as often as you’d probably like, you can stay in touch. And pick up the phone! Call your friends. Send them birthday cards. Remember that during this transition, it is easy to get distracted with the stress of a new schedule, a new lifestyle, and adjusting to living in a new city or environment. Loyola offers regional alumni chapters and events in many areas, which create reunion opportunities to meet up with those you haven’t been able to see. The annual Bull and Oyster event brings everyone back together on campus. Use these occasions as a way to reconnect with those you miss and to meet new people as well. I’m really grateful to have attended a university that cares so much about maintaining a connection with its alumni, that reminds us that even though we’re no longer on campus, we are still—and always will be—part of its community. As a recent college graduate, you are a sought-after candidate when it comes to employers. You possess a fresh perspective that people want to bring to their companies. Despite this fact, I found myself discrediting my value soon after graduation. This can influence not just the way you portray yourself in an interview, but also your own self-worth. It is important to remind yourself that you just completed four years of hard work and dedication from an exceptional university. Such an accomplishment should inspire you to feel proud and motivated to show the world what you have to offer. Our well-rounded Loyola education shines and stands out. That is what makes Loyola students different from most. When you’re feeling a lack of confidence, think back to all the wonderful skills and abilities you’ve gained. Your liberal arts-based, Jesuit education is a valuable commodity, and what you do with it increases its value exponentially. Some graduates will continue their education after Commencement, and others will jump right into the workforce. Both paths are challenging and exciting. It can get tempting to compare yourself to your fellow classmates. Just be yourself and go for it. I remember during spring semester of senior year, there was so much pressure to pick the ideal place to work, right from the start. Keep in mind that this is only the beginning. Chances are you won’t find the perfect fit right off the bat. It takes time to learn and grow. It becomes easy to feel like you might be trapped if you end up disliking whatever your first job may be. Of course, the idea is to find something that you love. For most people, this process may involve having different roles and diverse experiences in order to figure it out. Do yourself a favor: Don’t pressure yourself to find a dream job immediately. No matter how you launch your career, it will be an opportunity that will contribute towards your future. Many graduating students forget this stage of their lives will involve a form of learning and discovery as well. It helps to make a list of all different possibilities and directions that interest you. You’ll soon find out that there may be more than one career path that comes to mind. 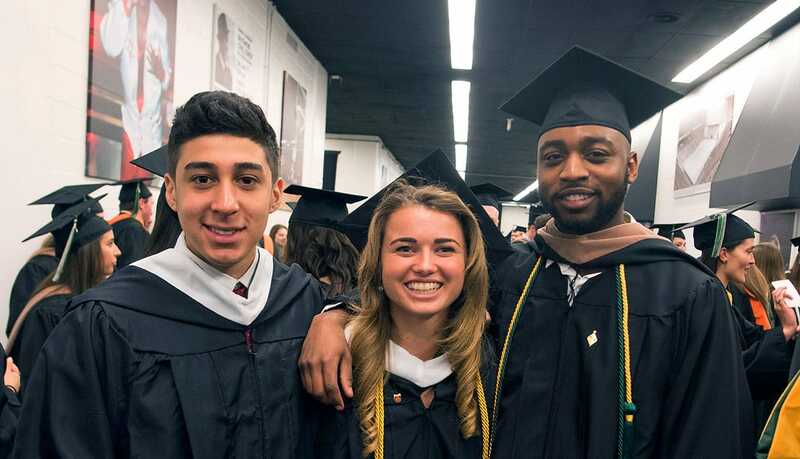 No matter what you end up choosing to start out with, it will be the beginning of an exciting journey that Loyola has helped prepare you for in many ways. Graduation is bittersweet. It can seem like the end of the best years of your life. That is unavoidable, because our experiences at Loyola were so positive, so transformative, and so wonderful. I can say from experience that accepting your next chapter takes time, especially in the first few months after Commencement. The key is to embrace the new rather than resist it. This will happen with more ease once you dive into that first new job, or when you realize being back at home or in a new city isn’t so terrible after all. It’s just different. Your outlook on change is all about the perspective you take as you go through the transition. Try to look forward to what is ahead of you with a positive light, and think about aspects of the change that excite you. Think back to your time at Loyola. We dealt with the changes that each new year brought—whether it was getting used to new courses, moving across campus, or even leaving to live in a foreign country for a semester. Each situation varied in its level of intensity, but it still took time to adjust. It all worked out. And as you go through this time of change, consider talking to people such as professors, friends, and mentors. They can provide great comfort and help you to embrace what is to come, while serving as a reminder of how you got to this point. On a less serious note, don’t forget to value the time you have left as a Loyola senior! Spend it doing the things you really enjoy. Walk around campus. Make an effort to hang out with different groups of friends. Visit your favorite spot in Baltimore—or go someplace new and cross it off your bucket list. Attend an athletics event. Go see a show at McManus Theater. Spread a blanket out on the Quad. Invite your favorite professor for coffee. Try that spin class at the FAC that you never got around to. You will feel so much better knowing you took advantage of all that while it was at your fingertips. Lastly, I wish I’d known as I left college and entered "the real world" that it isn’t me versus everyone else. I was afraid. I felt vulnerable, that I wasn’t ready. And then I realized it isn’t as scary as it’s made out to be. There will be stories and tales from friends and colleagues and family, who are sharing them with you as you begin your own work and living experience. Don’t let them shape the way you view this new way of life. It will all fall into place, one step at a time. Everything has its perks and its downsides, but we are all more than capable to take on the unknown. As you move forward, remember that no matter what, you’ll always be a Greyhound. Congratulations on your graduation! 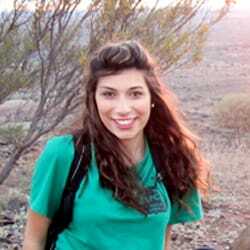 Marisa Pizzulli holds a Bachelor of Arts in English from Loyola University Maryland. As a student, she served in the Baltimore community at a local shelter and an elementary school, in addition to working in the office of academic affairs and as a committee member for OPTIONS. Originally from Montclair, N.J., today she works for Entercom, a broadcast media and entertainment company.